Great for those times I just can't get moving fast enough. THIS IS THE SECOND ONE I HAVE ORDERED. I USE THEM IN MY RECLINERS. 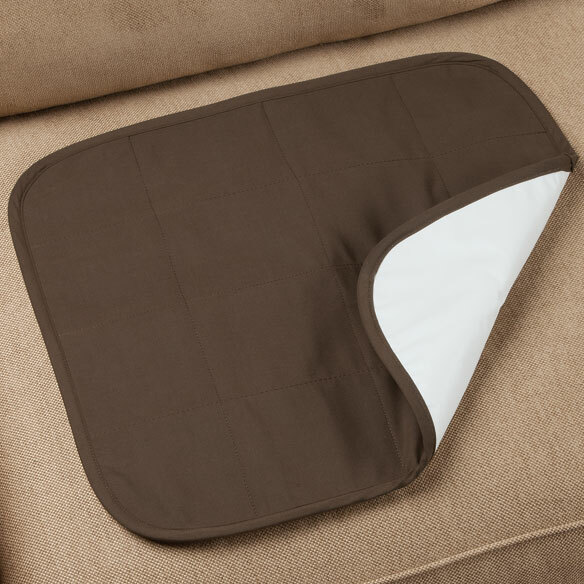 FIT WELL AND HELP TO KEEP THE RECLINER SEAT CLEAN. perfect size for my computer chair. I already have this in the Palm Tree stye which I purchasedin the Spring. Now I want a second one for fall and witner, so I choose the burgundy as it will match my home decor. I would love to see this in a medium gey shade. very effective pad. yes, i would buy more. I am wheelchair bound and it fits perfectly! I don't have to worry about my chair being wt. 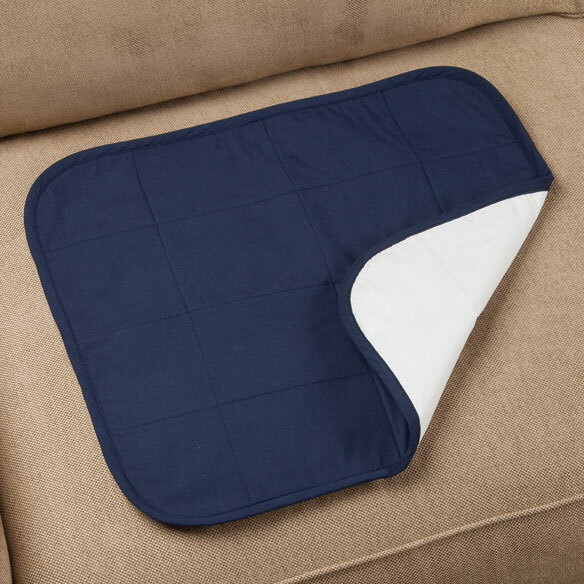 The seat covers are a great fit, lightweight, washable and comfortable. My father loves them. We like that they are washable. These are great. I ordered a second one as soon as I realized what a difference it made. With two I can put a fresh one down whenever I pull one up for laundering, which is pretty much every day. My mother used to put a towel in her bedroom chair but of course that didn't protect the chair or keep it from having an odor. Such an improvement to have the right product! I was disappointed that the edges curl up after she sits on them so they aren't as discreet as I'd imagined. They relax back down after she's been up for a while. Maybe a good option would be one with "wings" that could be tucked into the sides of the upholstered pillow. The surface also seems susceptible to lint even after spin drying. But I would recommend this, definitely, it has made a big difference in the room to remove this source of odor daily. And the chair under it is now protected. Try to keep my computer chair from accidental incontinence drip. perfect for not getting seat wet. I have used this make before and find it comfortable and easy to transition on and off my chair. Because I previously purchased some and they are the BEST Seat Protectors that I've ever used on my wheelchair. They are TRULY WATERPROOF unlike others that I bought in the past from other sites. I have two already and am pleased - need more for change for laundry. To use for my husband's bedroom chair. I bought two and they are so good ,I have I could use two more. Have used in the past and works very well and is good size. It is an item that I think would really come in handy. Already purchased and need more. Very pretty and useful. Sometimes I am incontinent and I want to protect the car seat. This wonderful protects your chair or whatever you use it on . 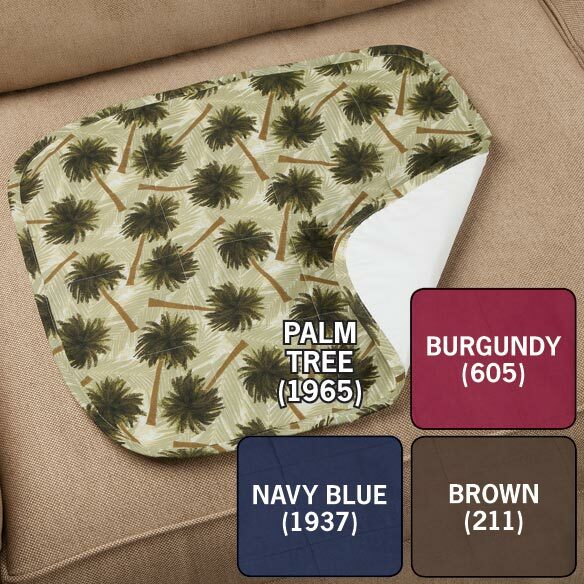 For recliner--palm tree print matches house design theme. Husband with dementia has occasional problems with urinary incontinence. For Transport chair. Color matches.Neat look. for persons im whellchair with bladder leaks, this protect your seats. I've been happy with them in the past. Chairs need protection from incontinence. We have used these before and they held up well to laundry etc. I wanted a comfy yet practical pad for my favorite living room chair. 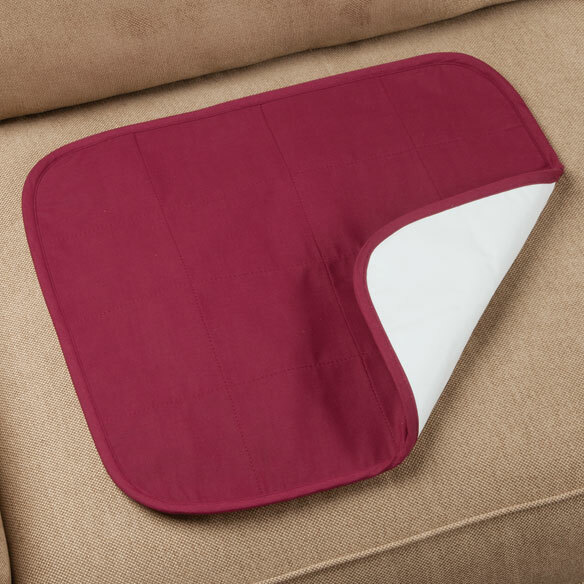 I have not experienced any issues with slippage at all; I bought it for my father who is 93 and we use it in a recliner. It's been excellent; one of the best purchases I've made for that purpose. We have not had any problem with slipping. It stays where you put it. plain brown pad but how do i indicate that? BEST ANSWER: Surface is quilted but the bottom is flatter. 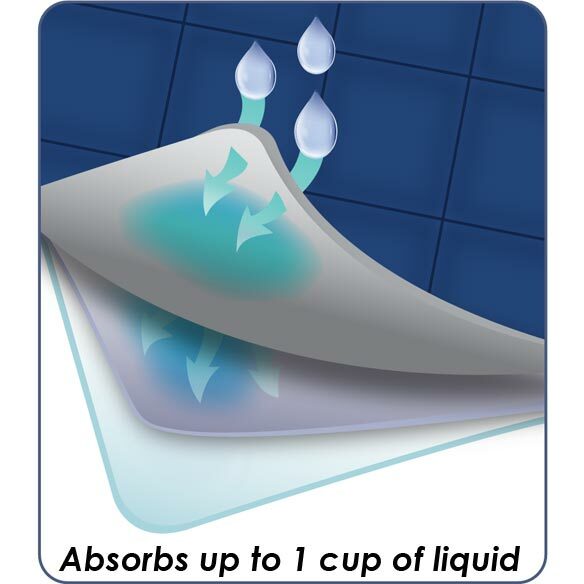 Stitching can draw fluids but flat bottom is waterproof. Fits recliner or easy chair but is a bit large for our wheelchair.